We’re still waiting for Ubuntu Mobile, Canonical’s mobile operating system, to finally make its official debut on a smartphone. To whet our appetite, smartphone manufacturer Meizu has published a short demonstration video showing the OS in action on one of its phones. In it, we get a closer look at how the software will perform when used for everyday tasks, such as typing on the keyboard, switching apps, and navigating though the home screens. Consider our appetite whetted Canonical, just get on with releasing a phone we can go out and buy. You may not have heard of Meizu before. It’s a well-known brand in China, and recently announced its intention to start selling its phones internationally, including in America. Subsequently, it was confirmed one of its first devices to be sold outside of China would have Ubuntu Mobile installed. Meizu, along with Spanish brand bq, are Canonical’s first two official hardware partners for the new OS. The phone on which Ubuntu Mobile is demonstrated is the Meizu MX3. Originally announced late last year, the phone has a 5.1-inch screen with an unusual 1080 x 1800 pixel resolution, and Samsung’s Exynos 5 Octa eight-core processor inside. It usually runs Android, complete with Meizu’s own custom user interface named Flyme, and the phone also has an 8-megapixel camera. It’s likely to be representative of the Ubuntu Mobile phone which will be released in the future. 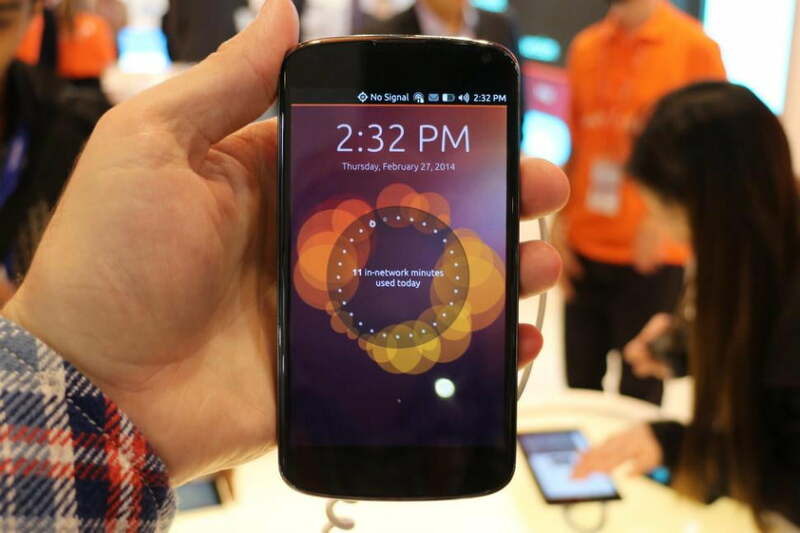 We caught up with Canonical during Mobile World Congress, and managed to spend a short while playing with Ubuntu Mobile, which was installed on a Nexus 4. One thing Meizu’s video doesn’t highlight is the cool welcome screen. The circle on the main screen, glimpsed briefly before it’s swept aside here, shows notifications and a wide variety of other information related to the phone, all of which can be cycled through with a tap. It’s just part of a fun, interesting, and attractive OS, which has been a long time coming. If seeing Ubuntu Mobile in action makes you want to try it out, it’s possible provided you own the right Nexus device, and don’t mind installing a beta operating system on to it yourself. If you’d rather wait for an official phone, according to Canonical, the release will happen this year, but it hasn’t been any more precise than that.